Los Angeles resident Alva Alvarez relies on large doses of over-the-counter medicines purchased at supermarkets because she doesn’t have medical insurance coverage due to her status as an undocumented immigrant. Cleveland resident Ricardo Ramos has been an undocumented immigrant in the U.S. for 16 years, but now faces deportation by immigration authorities, separating him from his wife and three children, all born in the U.S. and therefore U.S. citizens. 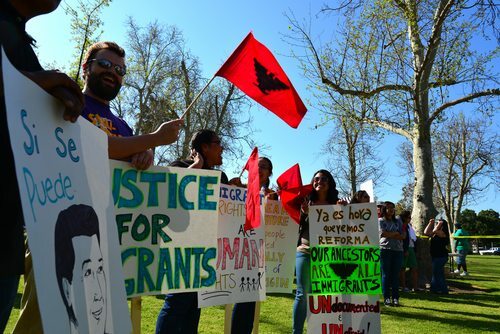 The day-to-day lives of Alvarez and Ramos and millions like them will be affected by some of the 184 immigration-related laws and 253 immigration-related resolutions that were passed by state legislatures in 2013. With immigration reform stalled in Congress, the action has increasingly shifted to the state level, meaning that nonprofits have to be paying maximal attention to what’s going on in their state capitals. On immigration, laws passed by state legislatures increased 18 percent in 2013. NCSL notes that big omnibus immigration enforcement bills similar to Arizona’s SB1070 “largely disappeared” from legislative dockets in 2013, as comparable 2011 laws in Alabama, Georgia, Indiana, South Carolina, and Utah were quickly challenged in court. The trend for state laws in general seems to be toward greater accommodations and rights for “unauthorized residents.” Ten states extended driver’s licenses to undocumented immigrants and four states joined eleven others in offering undocumented immigrants in-state college tuition. In California, for example, the legislature passed one law that prohibited local law enforcement from holding immigrants for federal deportation if they were only arrested for minor crimes and were eligible for release. These state efforts head in the direction of immigration reforms that Congress could and should be enacting for a more rational and decent approach to the treatment of the more than 10 million undocumented immigrants in the nation. In fact, 11 of the resolutions passed by state legislatures called on Congress to get off the dime and do something about comprehensive immigration reform. Filling the federal vacuum, states are continuing to pursue immigration-related legislation in 2014. New York State is considering tuition for the children of undocumented immigrants, though a handful of conservative Democrats might be an obstacle to enactment. A similar “Dream Act” kind of bill has passed the House of Representatives of the state of Washington, but is stuck in a recalcitrant Senate. Even the Florida legislature might get around to approving in-state tuition this year. All well and good, but these statutes are far from the national comprehensive immigration reform that over 10 million undocumented immigrants need and deserve.